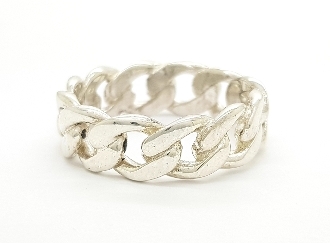 This ring has been handcrafted in 14K Gold to create the luxurious design of the popular and trendy Cuban Link Ring. The intricate link details allow this piece to make a bold yet elegant statement to compliment any outfit. Since we know everyone has their own unique style, you can choose from either White Gold or Yellow Gold to ensure that this piece is truly customized just for you!